All new treatment prices include a full consultation, initial design & treatment, 4-6 week touch up, aftercare pack, complimentary brow tidy 6 week post touch up treatment. Please book a complimentary consultation first if you would like to discuss the best cosmetic tattoo option for you. 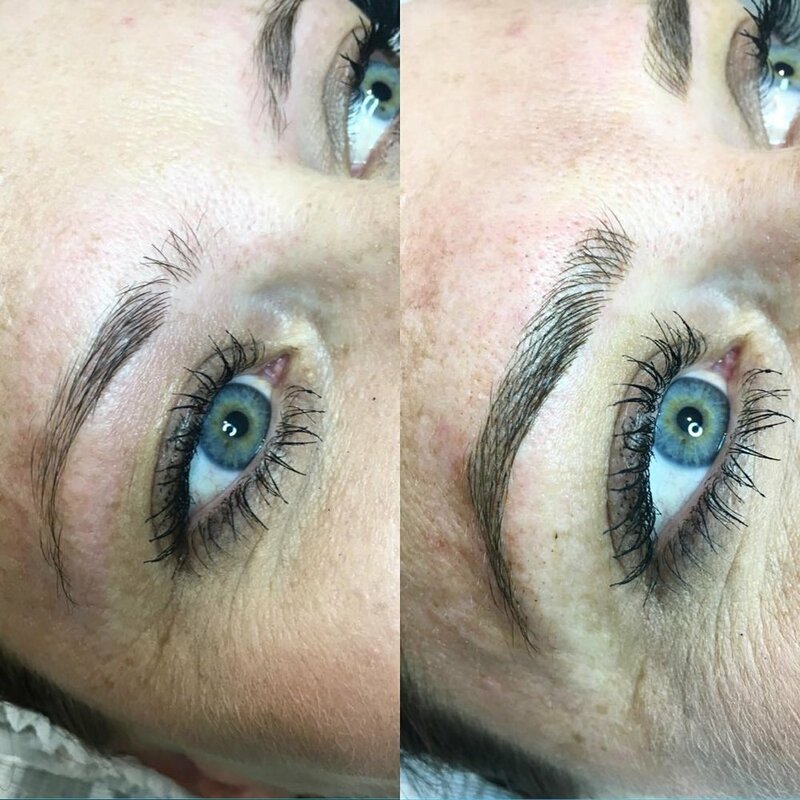 Microblading implants pigment in fine hair -like strokes under the skin. 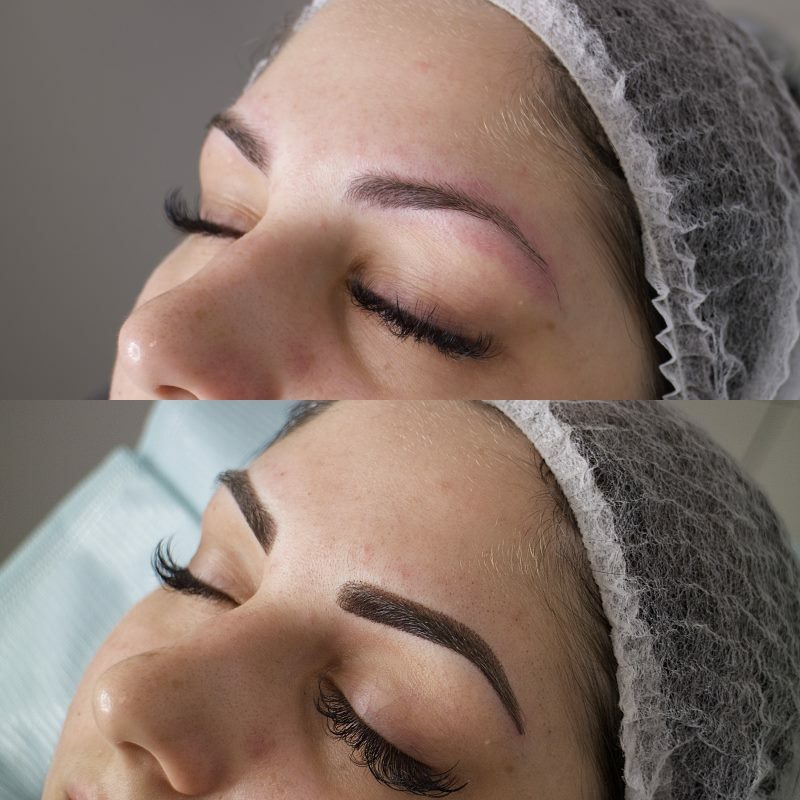 This is the most natural look of eyebrow tattooing and is great for people who want a subtle change to their eyebrows. Not recommended for oily skin or dense brow hair. This soft powdered brow is different to the ‘old school block brow.’ This technique gives the healed results of a soft eyebrow powder brushed through your brows. It is more defined and fuller than feathering but still looks soft and natural. 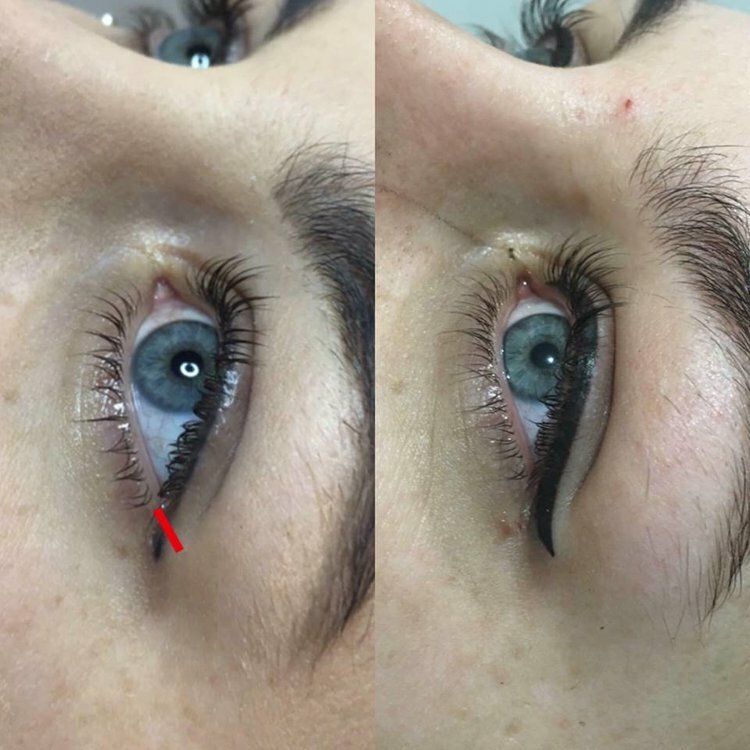 We can customise this technique to suit you, either full powdered or combined and blended with feather strokes. Great for all skin types especially oily skin and people with dense brow hair. Tattooed eyeliner gives depth to your eyes, brown eyes become more sultry, mysterious, blue and green eyes , become more piercing, the lashes appear thicker, lusher, darker! 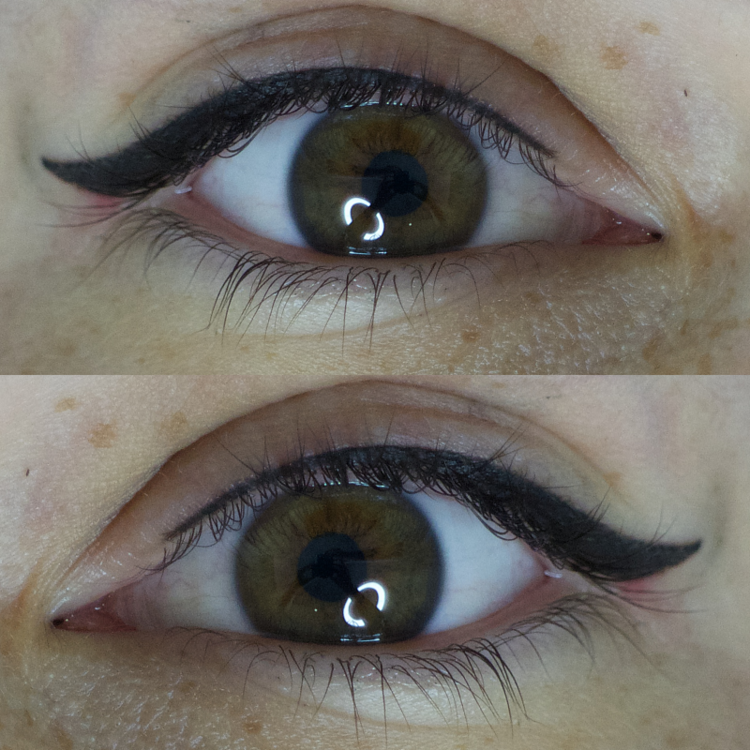 There are many different options with eyeliner tattoo. You can keep it thin & natural or thick and winged. The choice is yours! Lash enhancement is a subtle, natural way of tattooing pigment in between the rows of eyelashes, making your lash line look darker and thicker. 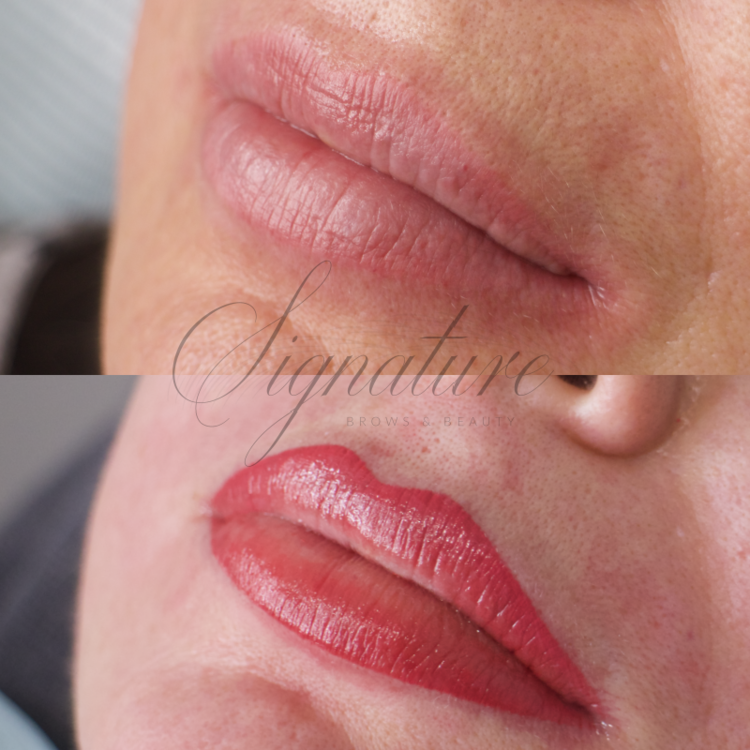 Changing the size and shape of your lips, as well as the colour , is easy with cosmetic tattooing. You can have a soft blended line giving more definition and fullness, or fill in the whole lips with either a natural looking colour to keep them simple, or a more vibrant colour to give a lipstick effect. There are many colours to choose from but please be aware that even the lightest most natural healed colours will start off looking darker/brighter as you loose approx. 50% of colour during the healing process. The method utilises traditional tattoo equipment that is commonly used to introduce ink to the deep layers of the skin. Instead of ink, the saline method injects a saline solution into the skin. By Introducing a high concentration of salt water into the dermis where the pigment is it creates the process of Osmosis. Because water in the cells beneath the pigment contains lower amounts of salt, this water will rise to the area containing higher concentrations of salt. This forces the pigment from the dermal layer up to the epidermis (outer layer of skin). The pigment becomes trapped in the scab and when the scabs falls off some of the pigment goes with it. This is an extremely successful method for removing all Cosmetic Tattoos and small body tattoos. Less chance of scarring and damage to the skin. This technique can take several sessions depending on the ink used, depth implanted the clients skin & healing process. Please book in for a complimentary consultation first so we can assess the tattoo to be lightened.